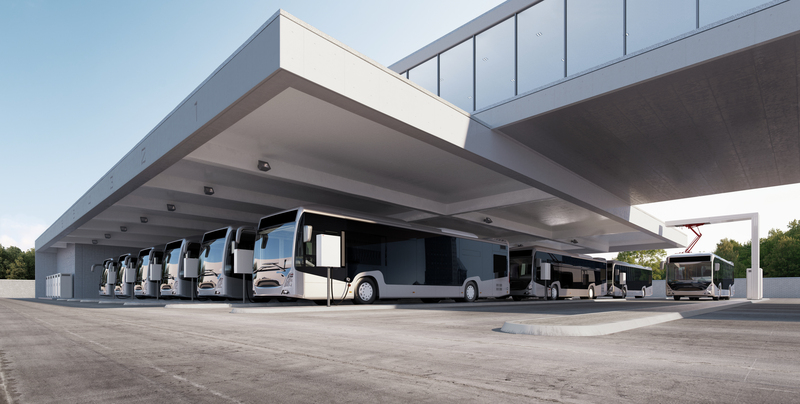 ABB is showing a new fast charging solution for electric buses. Meant to be installed in a bus depot, the system is designed to charge the bus overnight. It can schedule the charging of three buses, charging one after another after each bus finishes its charge cycle. The system is also upgradeable from 50 kiloWatts to 100 kiloWatts and even 150 kiloWatts. From 20-25 October on stand 816, Hall 8 at Busworld 2017 in Kortrijk, Belgium ABB will showcase its latest solution for charging electric buses, incorporating smart charging features with a future proof and modular design, safe and reliable operation and remote service and data management as part of the ABB AbilityTM portfolio of solutions. The chargers also come with an extensive suite of connectivity features including remote monitoring, remote management, remote diagnostics, and remote software upgrades. These advanced services from ABB AbilityTM provide customers with powerful insight into their charging operation, and enable high uptime and fast response to problems.